278 pages | 7 B/W Illus. 15. 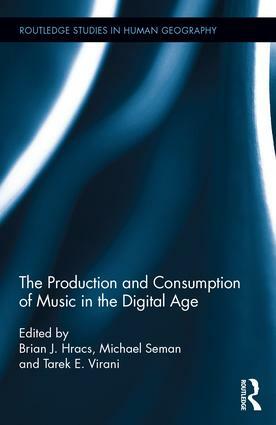 Music Rights: Towards a Material Geography of Musical Practices in the "Digital Age"
Brian J. Hracs is a lecturer at the School of Geography and Environment at the University of Southampton, UK. Michael Seman is a senior research associate at the University of North Texas Center for Economic Development and Research. Tarek E. Virani is a post-doctoral research associate at Queen Mary University of London.